As we strive to engage with our clients on topical and noteworthy ideas, we are pleased to be able to now present to our larger audience The Sharp Financial Group's September infographic. Amazon stock touched $2,050.27 per share, becoming the second US company to trade above the $1 trillion valuation mark – and making this month’s distribution particularly timely. 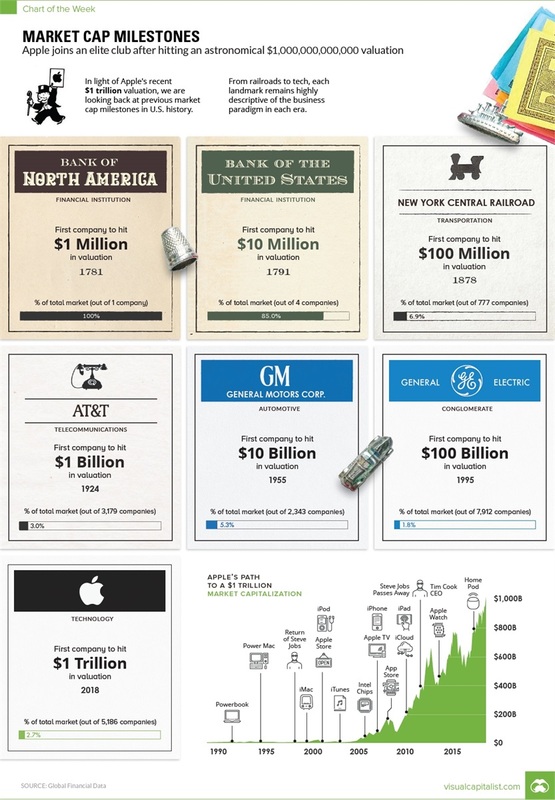 Apple achieved this noteworthy feat last month, and the company’s journey to over $1 trillion in market capitalization along with a few other valuation ‘firsts’ are detailed below in this month’s infographic brought to you in collaboration with our friends at the Visual Capitalist. Have a great month and please don’t hesitate to reach out with any questions or concerns. Sharp Financial Advisors, LLC is a registered investment advisor. Information contained in this material is for informational purposes only and should not be considered investment advice or recommendations.